Mayor followed her unlikely dreams. 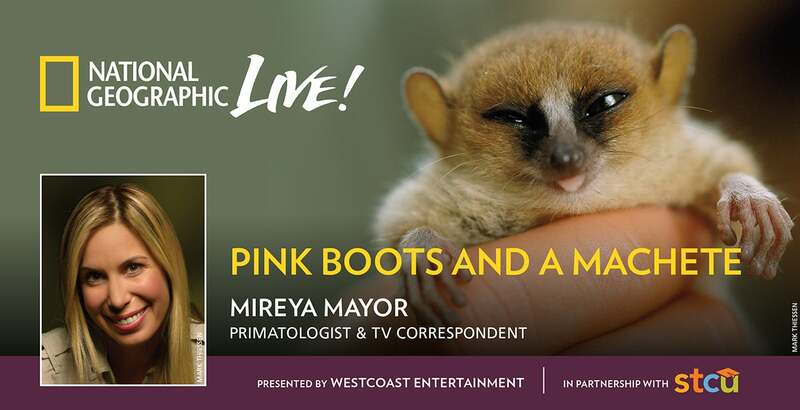 She became a respected primatologist, audacious explorer, and Emmy Award-nominated wildlife correspondent for the National Geographic Channel. Mayor’s adventures have taken her to some of the most remote places on Earth, armed with little more than a backpack, notebooks, and hiking boots. She’s survived poisonous insect bites, been charged by gorillas and chased by elephants, but keeps going back for more. The run time is approximately 1 hour and 30 minutes.